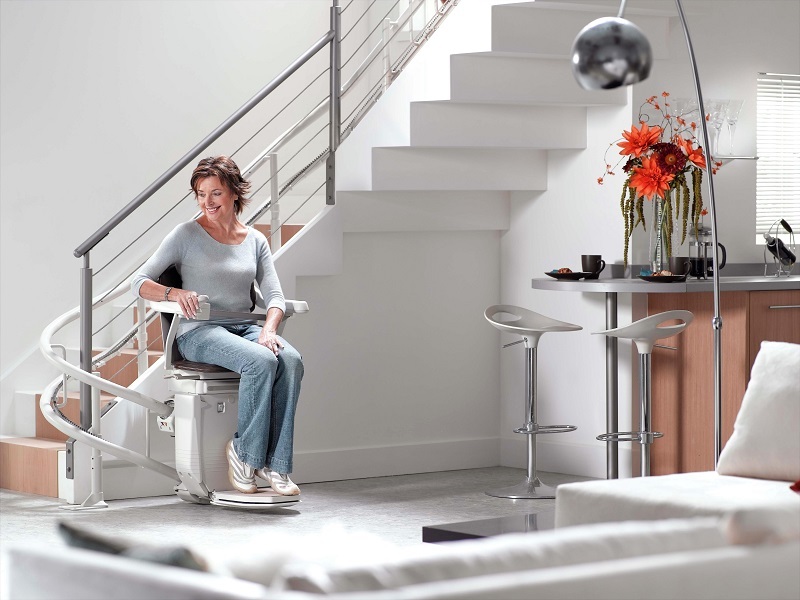 Straight Stairlifts: These lifts typically sit on a single track and span a single staircase, these are the most affordable, common and easiest to fit type of stairlift today. 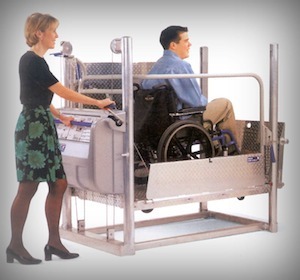 Our straight lift is available in indoor and outdoor options. 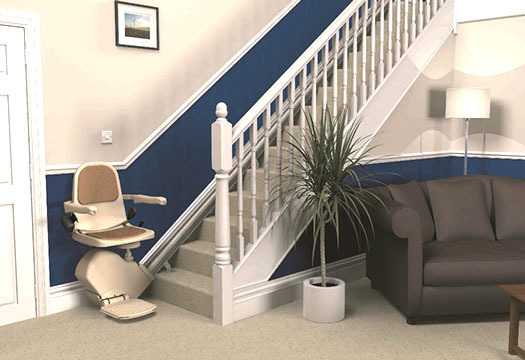 Out of all the straight stairlifts available we have chosen the Brooks straight lift as our preferred product because Brooks Stairlifts have 30 years experience in helping tens of thousands of customers make full use of their homes. The Brooks straight lift is available in indoor and outdoor options. Brooks Stairlifts are the trade division of the well known Acorn brand and are built to last with low maintenance and high reliability. The lift runs on maintenance free DC batteries which are automatically recharged at the end of every trip. This also means your Stairlift is whisper quiet and incredibly smooth. 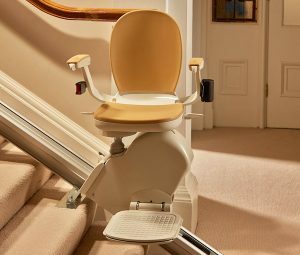 Even if there is a power cut the Stairlift glides smoothly to its destination. Price would be around £1250 fitted. There is an optional extended 4 year warranty available too. 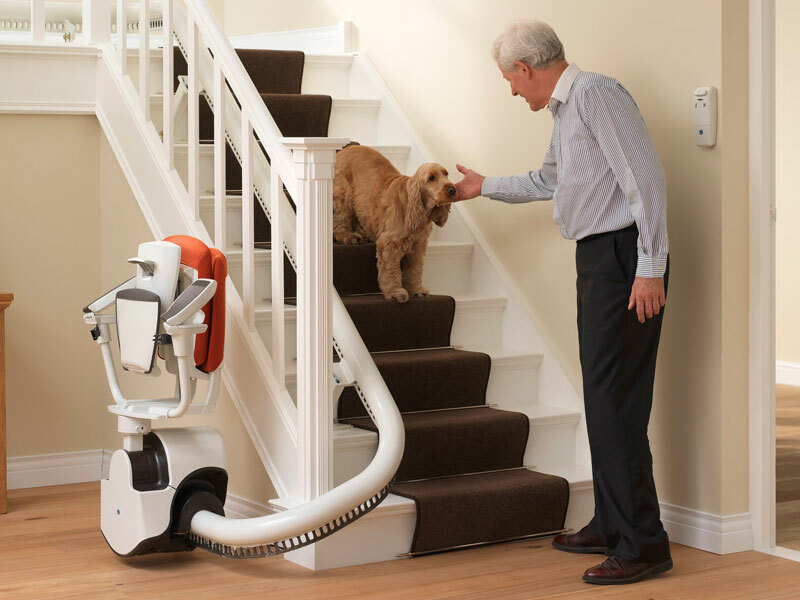 Curved Stairlifts: If your staircase has bends you will need a curved stairlift, and as all houses, even the house next door, is different, your staircase will need to be professionally surveyed to ensure a correct fit. 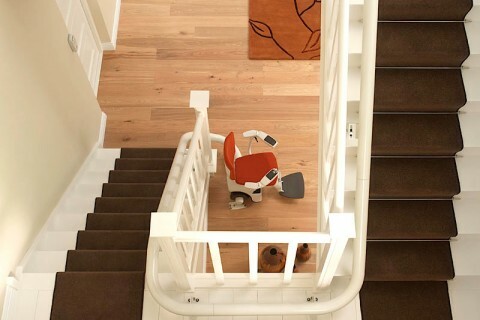 Curved stairlifts are all fundamentally the same in that they all go around corners on your staircase. They only differ in price and their varying ability to tackle very narrow staircases. Specifying a curved stairlift always involves careful measurement, design and manufacturing, plus the lead time and installation process usually takes longer than for a normal straight stairlift. We specialise in new and reconditioned curved lifts from Platinum and Thyssen Krupp. Platinum make some great value reliable lifts with a typical One x 90 degree staircase fully fitted reconditioned lift covered for around £3500. The amazing Flow 2 from Thyssen Krupp is designed for very narrow staircases but is equally happy anywhere oozing style and finesse. 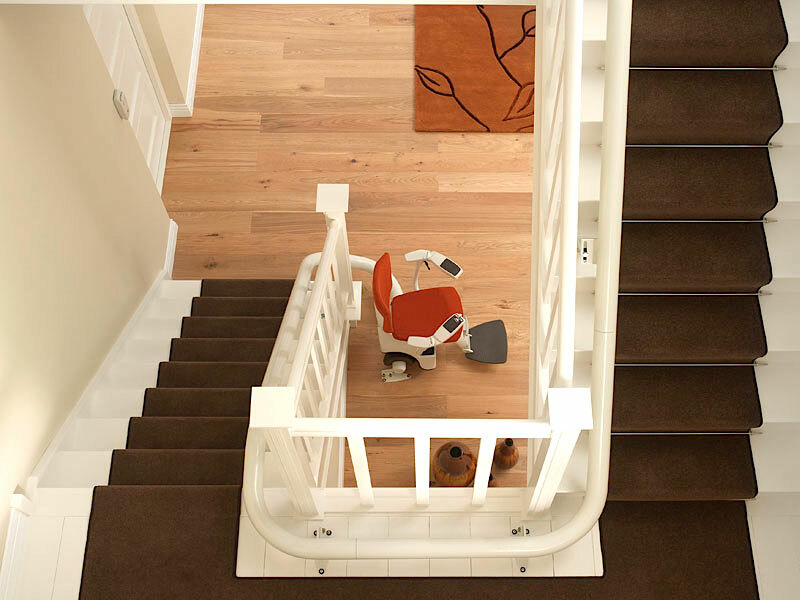 Flow prices start from around £5500 for a One x 90 degree staircase. Reconditioned Stairlifts: We don’t just mean a wipe down with a damp cloth. All our reconditioned stairlifts go through a thorough check and part replacement program before they are re-sold. We promote the Stannah 260 curved lift based on longevity and reliability in the field. Magic Mobility Ltd has proven results for sourcing and promoting innovative and cutting edge mobility products. 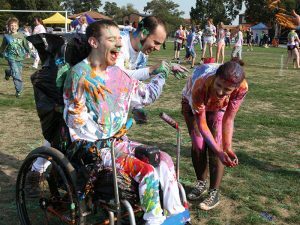 Please call Phil on 07733 438555 to find out more about stairlifts.